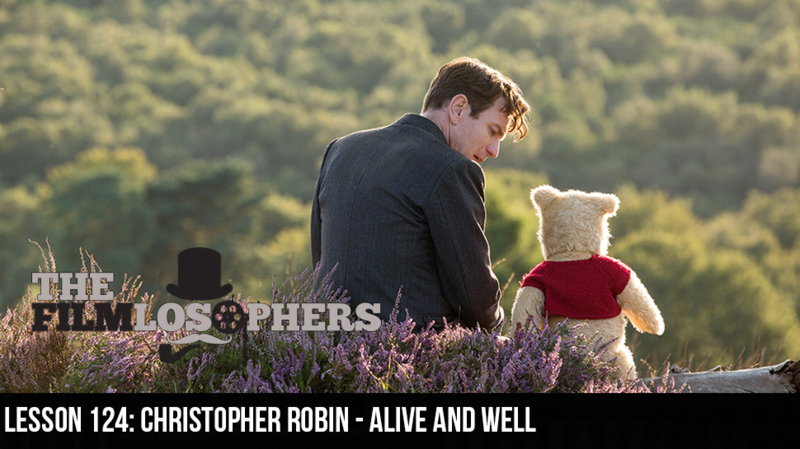 The Filmlosophers, Eddie Villanueva, Chad Riley and Spencer Williams, get a little sentimental with this week’s review of Christopher Robin (2018), the latest in a series of live action adaptations of famous Disney cartoons. Starring Ewan McGregor, Hayley Atwell and a slew of famous voices including Jim Cummings, who has voiced Winnie the Pooh and Tigger for more than 30 years. Whether you’ve followed the ongoing adventures of Pooh and his friends for years or you’re just now getting to know the characters, there’s a lot to appreciate in this tale of friendship and family. Directed by Marc Forster, the film features all of the classic characters including Pooh, Tigger, Eeyore, Piglet, Owl, Rabbit, Kanga and Roo. It’s also bound to inspire a whole new generation of fans with some adorable stuffed animals for Christmas.